Judge Orders Trump Administration To Remove 2020 Census Citizenship Question A federal judge in New York has issued the first ruling out of multiple lawsuits over a question about U.S. citizenship status. The ruling is expected to be appealed all the way to the Supreme Court. U.S. District Judge Jesse Furman ordered the administration to stop its plans to include the controversial question on forms for the upcoming national head count "without curing the legal defects" the judge identified in his 277-page opinion released on Tuesday. The question asks, "Is this person a citizen of the United States?" All U.S. households have not been asked such a question on the census since 1950, although it has been asked of a sample of households for past head counts and for the Census Bureau's American Community Survey. Furman found that the decision by Commerce Secretary Wilbur Ross to add the citizenship question to the 2020 census was "unlawful" because of "a veritable smorgasbord of classic, clear-cut" violations of the Administrative Procedure Act, including cherry-picking evidence to support his choice. Ross oversees the Census Bureau. "To conclude otherwise and let Secretary Ross's decision stand would undermine the proposition — central to the rule of law — that ours is a 'government of laws, and not of men,' " Furman wrote, quoting one of the country's Founding Fathers, John Adams. Ross, Furman added, "ignored and violated a clear statutory duty" to use existing government records about people's citizenship status as much as possible rather than using the census to ask a citizenship question. In another violation of the law, Ross "announced his decision in a manner that concealed its true basis rather than explaining it," Furman said. Furman left open the possibility that Ross might be able to move forward with the question if he were to meet a series of specific requirements, including providing his "real rationale" that would support his decision to add the question. The judge also ruled that the plaintiffs did not provide enough evidence to prove their claim that Ross' decision was intended to discriminate against Latinos, Asian-Americans, Arab-Americans and immigrant communities of color in general. Such a claim, Furman noted, would need to be backed up with testimony from Ross about his intent for the question. The issue of questioning Ross, however, has been put on hold after the Supreme Court agreed to weigh in on a dispute over what evidence can be considered for the lawsuits. The justices are scheduled to hear oral arguments in February on that issue, as well as on whether Ross can be questioned under oath by the plaintiffs' attorneys about why he approved adding the question. Furman's decision marks a significant milestone in a legal battle that began shortly after the Trump administration announced last year that the 2020 census would include a controversial question about U.S. citizenship status. "Today's ruling is a win for New Yorkers and Americans across the country who believe in a fair and accurate count of the residents of our nation," said New York State Attorney General Letitia James, whose office represented some of the lead plaintiffs under the state's former attorney general, Barbara Underwood. Dale Ho, one of the lead plaintiffs' attorneys at the ACLU, called Furman's opinion a "forceful rebuke" of the Trump administration's actions. 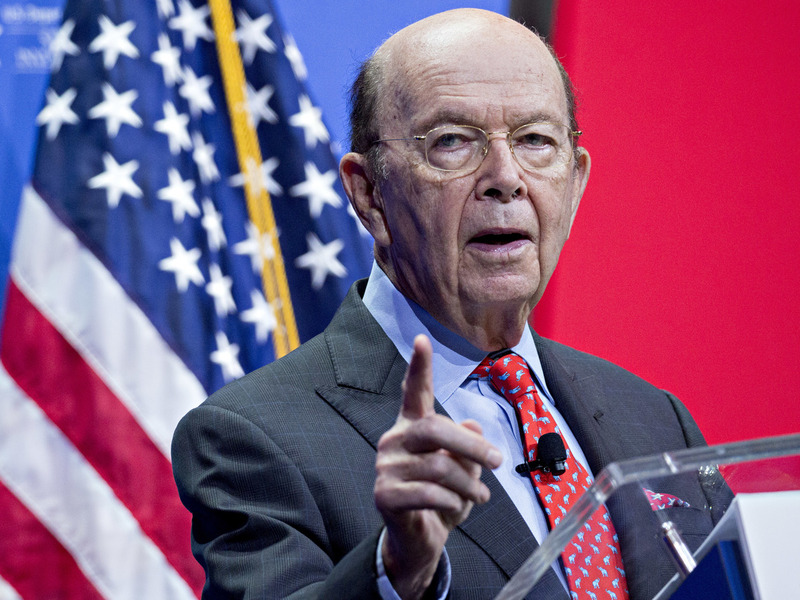 "These are not the acts and statements of government officials who are merely trying to cut through red tape," Ho said during a press call, referring to the way Ross pushed to get a citizenship question onto the census. "Instead, they are the acts and statements of officials with something to hide." The Census Bureau's public information office referred NPR's request for comment to Commerce Department spokesperson Rebecca Glover, who deferred to the Justice Department for comment. "We are disappointed and are still reviewing the ruling," said Kelly Laco, a Justice Department spokesperson, in a written statement. "Reinstating the citizenship question ultimately protects the right to vote and helps ensure free and fair elections for all Americans." Furman has noted that he does not expect his order to be the final word on the question's fate. The district court ruling in New York is expected to be appealed to the 2nd U.S. Circuit Court of Appeals and, ultimately, to the Supreme Court. "If a higher court disagrees with this Court's ruling, the citizenship question may well end up on the questionnaire," Furman wrote in his opinion, adding that the administration should be allowed to prepare for that scenario. He specified that the Trump administration can continue to "study" using the census to collect citizenship data and to test a citizenship question, as the bureau plans to do beginning in June. The lawsuits' plaintiffs, however, have argued that the administration has been misleading the public. Ross, the plaintiffs insist, misused his authority over the census and, by adding the citizenship question, discriminated against immigrant communities of color. Research by the Census Bureau suggests asking about citizenship status in the current political climate will scare households with noncitizens from participating in the head count. That, in turn, could jeopardize the constitutionally mandated head count of every person living in the U.S.